Another Unknown: This is actually more research for my next Belgian Event. I was looking over the keg availability list and noticed this bier. I have never had it so I figured I would review it and evaluate its potential for John’s Second Annual Craft Beer Event, which will be on September 25th this year but more on that later, we have another bier to review. 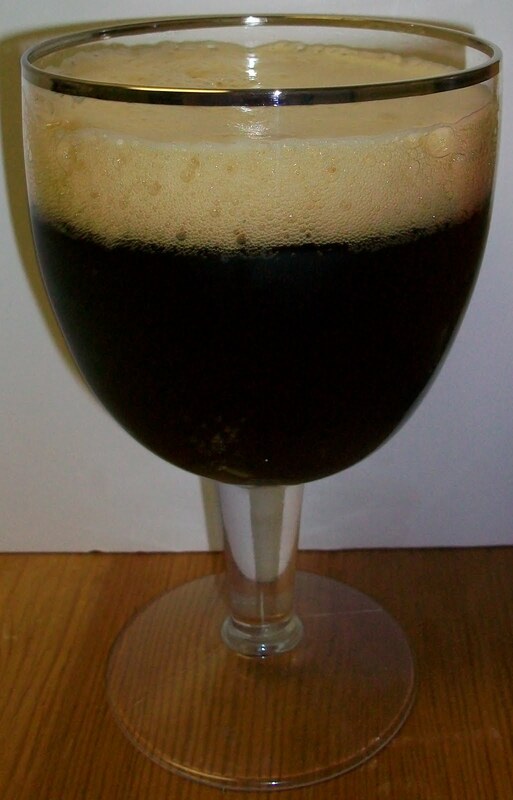 The bier pours a very dark brown almost completely opaque with just a hint of amber hues. And a fairly rich off white to tan head. The nose is wonderful; dark roasted malts, yeasty notes, dark fruit and a hint of sweet alcohol. Wow, this is nice, really nice. Smooth rich malts with dark fruity notes and that classic yeasty background. This could hold up to St Bernardus 12 as a finishing bier at the Belgian event. Let me try to attempt a play by play. Man, the second sip was completely different from the first sip. 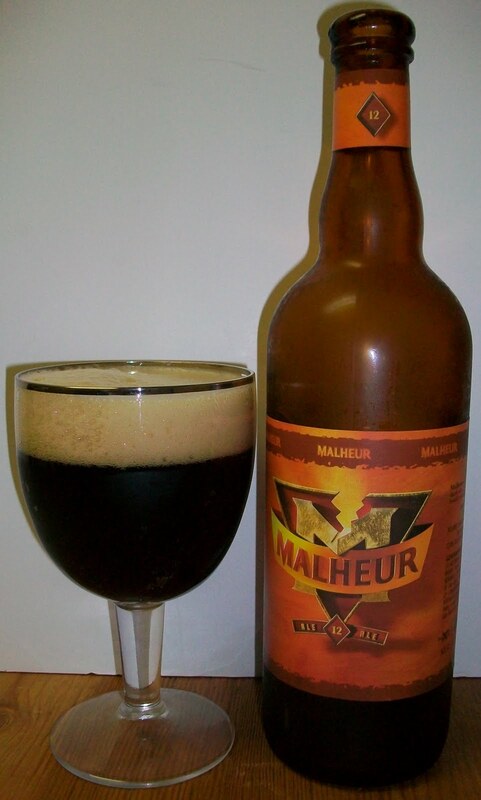 It starts off with sweet roasted malts up front on the tip of the tongue and carries through mid-sip. In the middle of the sip there is a very nice effervescence over the tongue. The back-end is smooth and rich and very easy to swallow. There is also a more aggressive release of the carbonation during the swallow. And then we have a very complex finish. This is where the first two sips drastically differed from each other. The carbonation release during the swallow masks most of the flavors on the back-end. But then you are hit with the most flavorful finish ever. The first sip was rich roasted malts with dark fruit on a yeasty background. The second sip had all of that but also a very distinct spiciness; cinnamon with a hint of coriander and clove. The final aftertaste is fairly dry; I assume that is from the alcohol. There is the most pleasant creamy mouthfeel with sweet rich Belgian malts along with a lingering yeasty background in the aftertaste. This is a very nice bier. The complexity is amazing, I can’t wait to see what this does as it warms and open’s up a little. We are at 62 degrees and it is opening up already. Another remarkable aspect to this bier is the alcohol. Well, it’s actually in the fact that you can’t detect it, and I mean at all. If I didn’t read the label I would have thought this was around 8% not 12. I know good Belgians mask the alcohol but this is stealth. It has now warmed to 70 degrees. Man O Man is this good. It is much smoother and maltier now. I assume some of that is due to the out gassing of the Co2. At any rate this is an excellent bier. I am starting to pick up some of the alcohol it is still just a sweet note not boozy at all. I poured just a little bit more into my empty glass; still not getting to the lees and noticed that the spicy notes are back. I really did not notice them in the previous sips. There is also just a little more carbonation in the addition. Wow, the lees are tough. These are very bitter and of course yeasty. There is also a very foul aspect to these lees. I really don’t think I want to finish them. I really just do this to keep re-enforcing my cardinal rule “Do not pour the lees directly into the glass with your bier”. I would not have enjoyed this bier as much if it had these lees flavors mixed in. This is one excellent bier. I’m giving this one an A. This rivals any of the Quads that I’m had including St. Bernardus 12 which I always held up as my gold standard for this style. This will make a nice finishing bier, nightcap or dessert bier for anyone. I highly recommend this to anyone that like the Strong Dark or Quad Belgian styles.